After hearing from some bros here, I am keen to switch to pro audio speakers for my LCR speakers to improve the overall dialogue and experience. Seems like those with horn design are good. Hsu research HB-1 mk2 or PSA MT110 as a start for the low end of the budget. Read the reviews, they are quite amazing for HT, and have incredible soundstage and imaging in stereo. The only downside maybe the highs may not have that 'air' associated with hifi dome tweeters. There's some info in this thread. Sorry, here's the link.. Going a bit higher, there are JTR Noesis range, but already out of budget. Diysoundgroup has a lot of options for all output levels and price range. In fact, you can even stay with a highly regarded hifi dome tweeter design, in the marksman. It uses the dayton rs28 tweeter. The benefit is the controlled directivity of the seos waveguide on the tweeter. 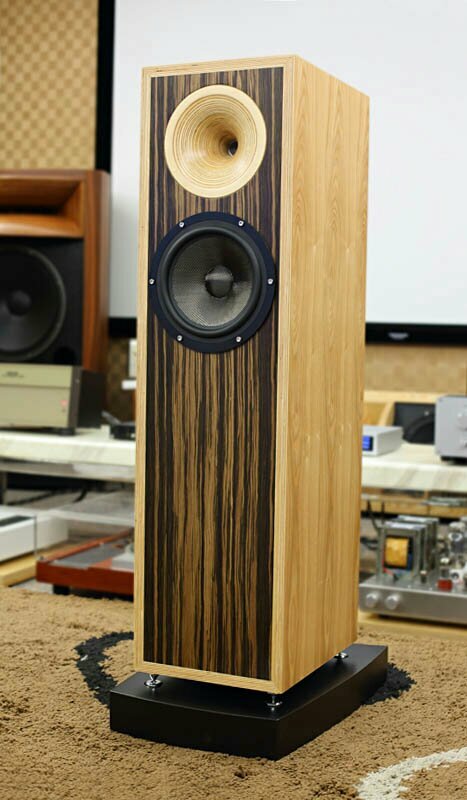 Of course, not to forget big boys JBL and QSC , but probably the cinema range speakers are too big and too ugly for home. 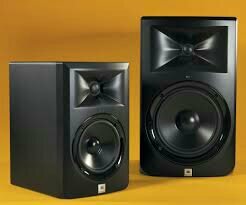 JBL has powered active series, LSR308 and LSR305 that would be very very good too. Well within your budget. Actually, for easy of application, LSR308 or 305 is probably your best choice. Can use a single 305 for center. I second diysoundgroup kits if you are adventurous enough. Great value for money. 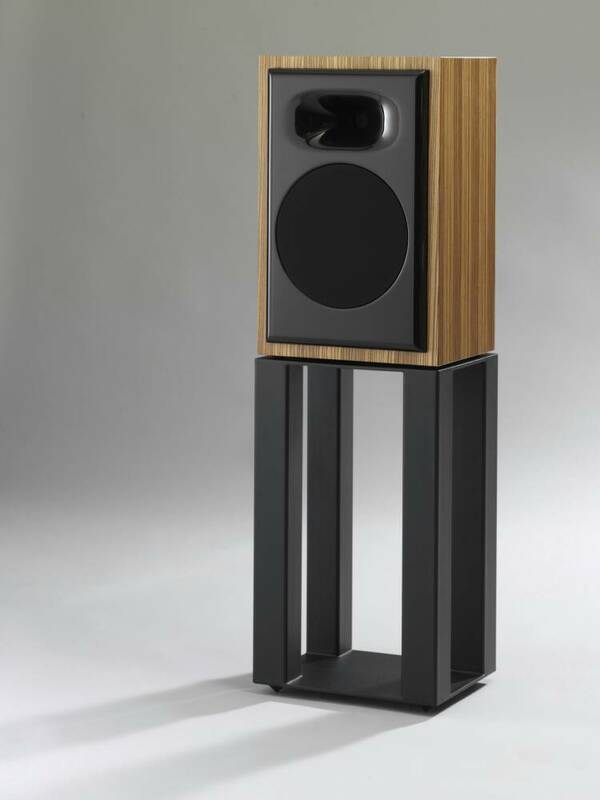 If you are considering MTM designs, make sure the Center speaker can be placed vertically to avoid lobing/dispersion issues widely discussed in AVS. Listen with your ears, and not judge with your eyes. Bro, honestly given the Budget I would go with treating the room and first reflection points, since u can't move MLP. The problem doesn't lie with with the equipment. The room is dominating. There r nice acoustic paintings that u can use too,waf friendly. Solve the reverb issues too with helmhotz. I believe that will bring up the entire system to the next level. Alternatively if u have a spare room, move entire system to room. I believe that would be good option as well. And I believe this could give the expansive dialogue and stage I am searching for. And best, for a fraction of the cost of my b&w. Do we rem anyone in XP who used these models b4? Here's what the Marksman could look like. Some slightly more refined looking ones. 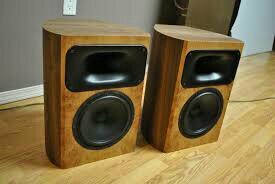 I used to own JBL Studio 5 floorstanders and they were very dynamic and great for movies. I use it mainly for movies so that was my priority for choosing it. Price should be around your budget too. I changed them to KK Q125 which unfortunately are no longer available. After reading the HSU speakers review, i am.... deeply poisoned. hahaha.... price also affordable, maybe i should buy one to try. Bro, when it comes to speakers, try to ask the dealer whether is it possible to do a home trial using their demo units - make a deposit of some sort to assure them of your interest. 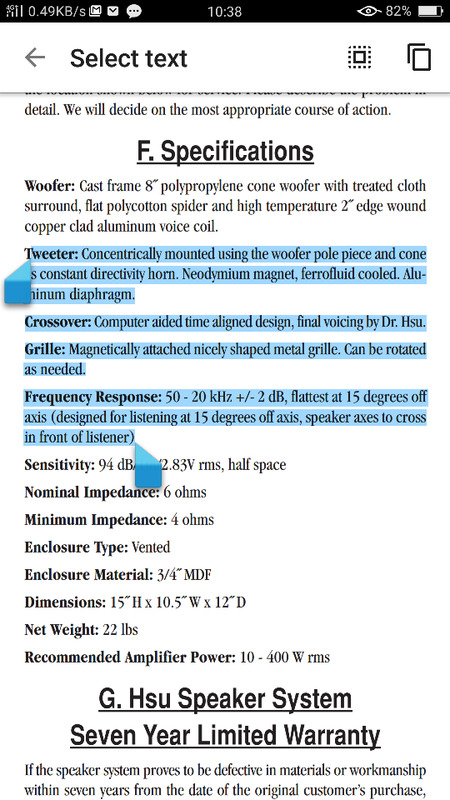 Sound is very subjective, you can't come to a conclusion whether it fits your listening environment. Take note, I am talking about spending some serious $$$ (investment) in the region of thousands of dollars on the LCR...of course it may not be feasible for say a $200 - $400 range of speakers as dealer likely not gonna entertain it. Thanks desray. Yep I will. Too bad hsu & psa doesn't have local agent. Sigh. Will spend some time doing research on this. Quite a few candidates including kef too =) spoilt for choices keke. The PSA MT110 is a horn type speaker right? Isn't the Hsu a coaxial design? Aren't you looking at CD/horns? the ccb8 is coaxial I think. Prefer to explore horns if possible. I believe it will give a different HT dimension, esp dialogue. Frankly, I am very new to pro speakers. So any suggestions on other brands/ models are welcome! Honestly, coaxials are waveguides too, just look at the kef LS50 polars or off axis response. You can't get that kind of even smooth dispersion without a waveguide. 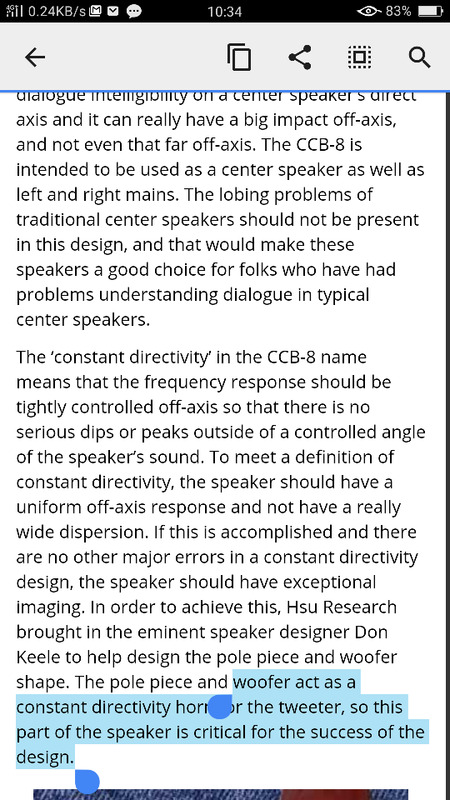 I have not seen any measurements of the CCB 8 from Hsu. But the materials all point to the fact that this is a full blown constant directivity design, ie horn /waveguide. Being a Coaxial, and constant directivity to boot , it's superior to a regular 2 way TM horn design. Don Keele helped design the pole piece and woofer cone profile to act as a constant directivity waveguide. Keele is most well known for his work in CBT, which are a type of constant directivity line arrays. Definitely knows his stuff. I think this is the one for you. Hehe. Looks great with grills on and off too. BUT, you know what is the single biggest reason to get them? For the bragging rights. You can say, I'm going to get these CCB speakers. Or I just got these CCB speakers. Yes the ccb8 looks very intriguing. Still waiting for AVS jim wilson review. Yes the ccb8 looks very intriguing. Still waiting for jims review. Ever consider the Klipsch Heresy 3 for all your LCR? thx for this. just googled it. Looks interesting. What's the price for a pair? I'm very poisoned save me!!! He's pulling a fast joke on the ang mohs, at the same time a shout out to his fellow Singaporeans. I got mine used, matching five units, from this forum. I sold off 2 of them, and have 3 now for my LCRs. I would not know how much it is selling locally. However u can consider buying from the usa. hi , any outcome on the MO ? Jim Wilson's review of CCB-8 is out. thanks bro! Wah very good review by Jim. He's quite a respected reviewer. Any reviews on the speakers from those who got from MO? akan datang, still in the midst of collection, will take some time i guess. But I think those who have just collected, have prelim inputs to atest to the excellent imaging and affirm what the reviews mentioned. If they set it up correctly by angling the way Dr Hsu suggested, it should be nothing short of amazing for a speaker at this price point.